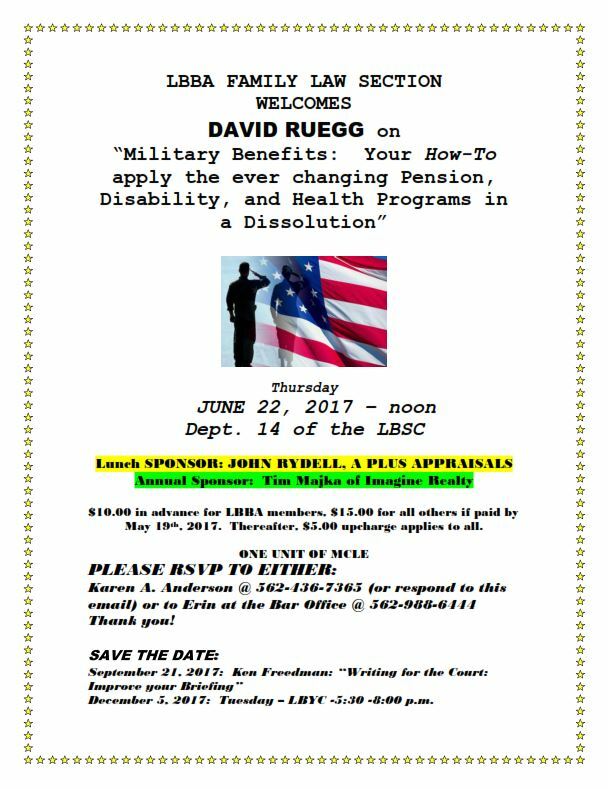 I am honored to speak on June 22, 2017 to the Long Beach Bar Association on the ever changing Military benefits laws and how those changes impact family law litigants. 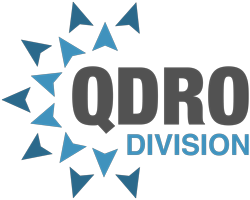 I will be discussing the “Frozen Benefit” rule that impacts cases with Active Duty Service members whose divorce was not final by December 23, 2016 (changes made by the National Defense Authorization Act for Fiscal year 2017 https://www.congress.gov/114/crpt/hrpt840/CRPT-114hrpt840.pdf), I will be discussing the Howell vs Howell Case https://www.supremecourt.gov/opinions/16pdf/15-1031_hejm.pdf decided May 15, 2017 and it’s impact on litigants when a service member waives retirement pay in favor of VA disability pay or for Combat Related Special Compensation, I will be discussing the new Military “Blended Retirement System” going into effect on January 1, 2018, and I will be discussing some of the other ‘traps’ that come up in military cases impacting litigants (Survivor Benefit Premium Election Timelines, the 10/10 rule, as well as others). ← Set an appointment with Calendly!